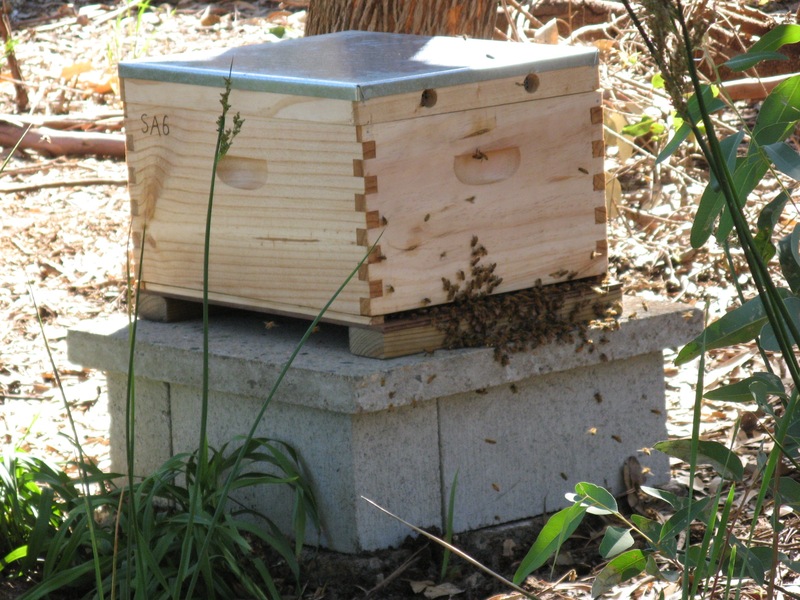 To bee or not to bee…..
Yes…..we now have a bee hive! We decided to go for a new hive and bees, rather than second hand as we really wanted to avoid introducing any disease onto the property. We bought the hive components from Guilfoyle’s and put it all together ourselves. This was a great way of learning the parts and how it all worked. 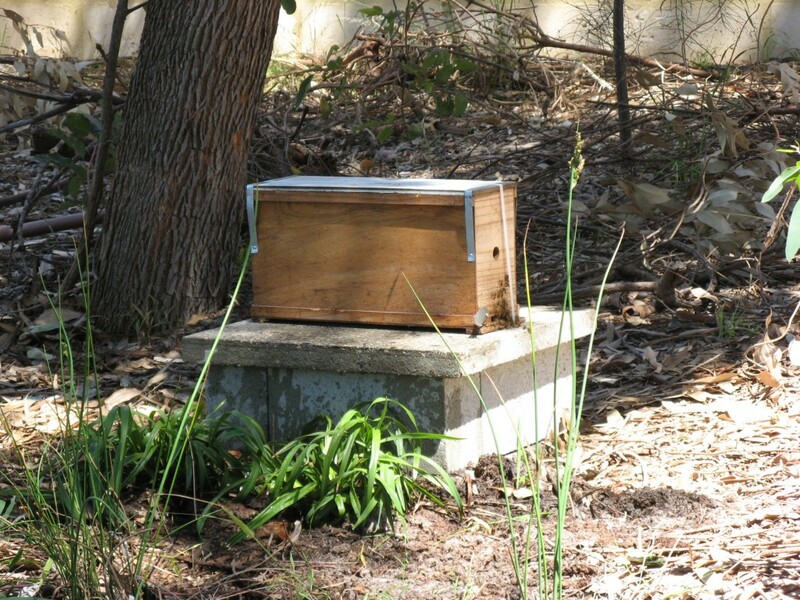 Introducing the ‘nuc’ (nucleus) of new bees was a very simple process- we put the small box they came in on the base we had made for our hive, and let the bees out for the day. 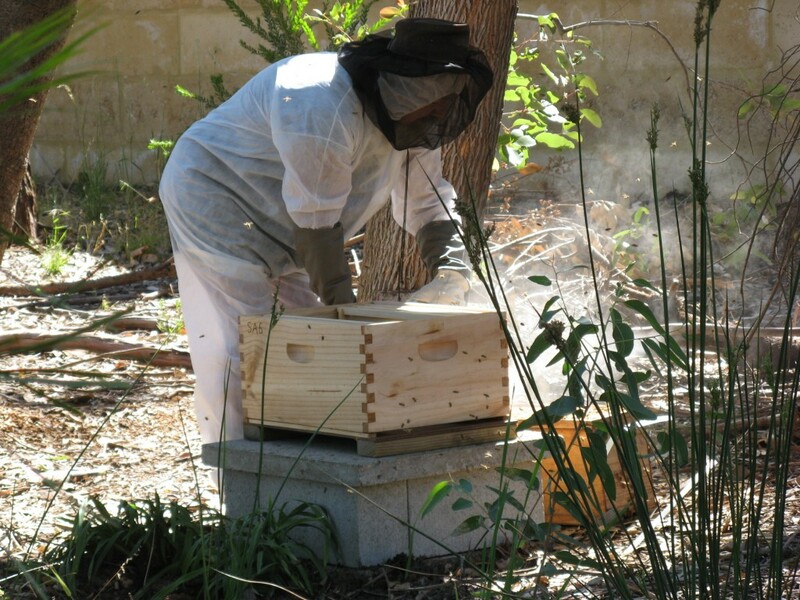 Then, suited up, we gave it a couple of puffs of smoke from the new smoker, moved it to the side, and set up our hive on the stand. 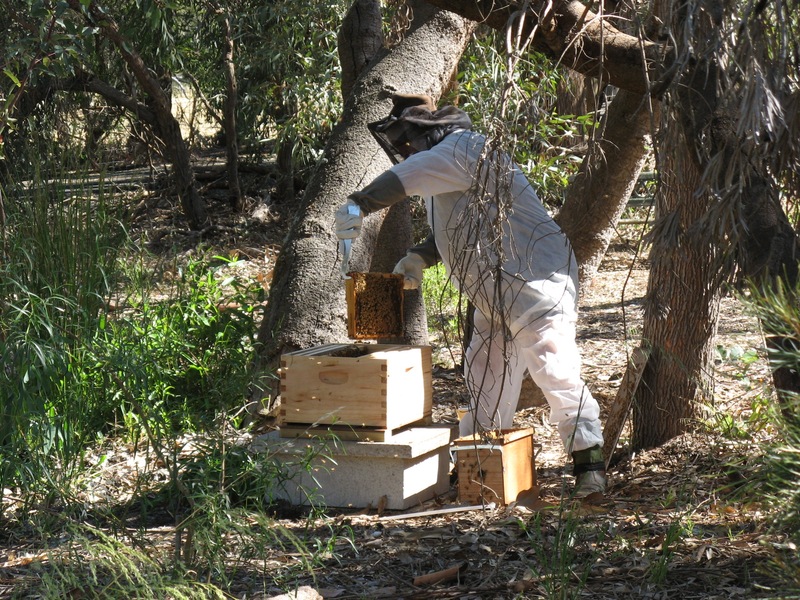 Then the four frames (covered in bees) were transferred from the nucleus box into our hive, and voila! we now have our own bee hive!